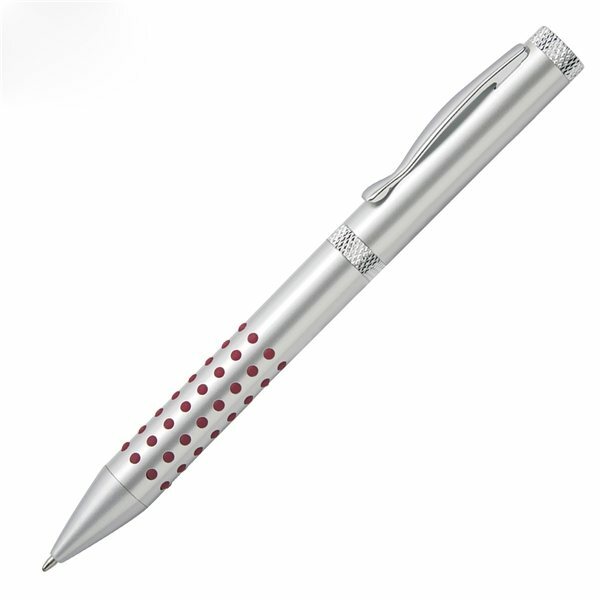 Solid brass with satin chrome finish and raised red rubber dot comfort grip. Both the printing and the product turned out perfect. It was perfect for what we needed it for. Really good quality for the price. Happy with how our order turned out. We used them at the rehearsal dinner for my son's wedding and everyone really liked them. We appreciate your work. Good size and fast production.The standard of my opportunity logo design around the product was outstanding!